Why do foreign companies still invest in Russia? Last week German sportswear company Adidas revealed plans to close 160 stores across Russia by the end of 2017. The multinational corporation has been scaling back business in the country for the last three years - with many shops already shut down - as consumer demand continues to tail off amid the economic crisis. The German-Japanese manufacturer of cutting machine tools and lathes DMG MORI officially became a Russian producer in September 2016, following the signing of a special investment contract with the Russian Ministry of Industry and Trade. Such contracts were introduced in 2015 and promise a range of benefits and support from the Russian government for potential investors who meet certain criteria. DMG MORI now has its own factory in the city of Ulyanovsk and is aiming to increase its localization by up to 70 percent. Catering primarily to Russian clients, the company also plans to export up to five percent of products produced in Russia. Another car maker – Chinese Haval of Great Wall Motors – is also building a full cycle plant in Russia’s Tula Region. The factory is set to open in 2018 creating 2,500 jobs and producing up to 150,000 cars a year. The total investment in the project is $500 million and it will be the first Chinese vehicle plant with four production processes in Russia. The project could also benefit Tula’s chemical industry and the region’s metallurgy enterprises will most likely become suppliers to Great Wall. India’s largest drug maker Sun Pharma made its mark in Russia in 2016 by buying Biosintez, a Russian pharmaceutical company, for $60 million. The deal gave the Indian company access to local manufacturing including pharmaceuticals for injections, blood substitutes, blood preservatives, ampoules, tablets, ointment, creams, gels, suppositories, and APIs. The acquisition follows a mandatory plan of localization in Russia that requires all pharma companies to have a local base in the country by 2020. 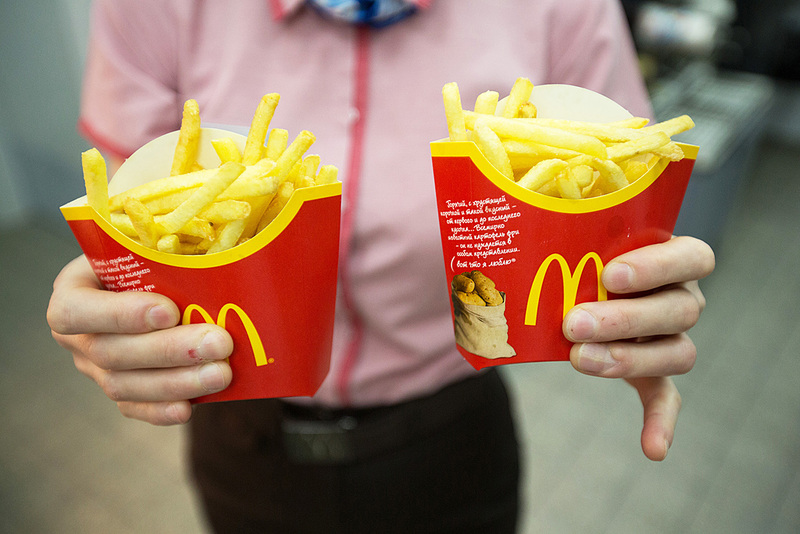 In 2016 the U.S. fast-food giant McDonald’s announced plans to source all ingredients locally in Russia. Since then, the company has been gradually replacing its imports with homegrown produce in an attempt to smooth the impact of currency swings and food sanctions. Today the level of localization has reached 88 percent and it’s planned that by the end of 2017 it will climb to 90 percent with the launch of potato fries production in Russia. How much foreign direct investment (FDI) has Russia been receiving?